3D printing is an additive manufacturing process that works best for functional prototypes, complex designs, reducing multipart assemblies, and end-use applications. 3D printing technology is rapidly changing how manufacturers are creating concept models and end-use parts. One of the fastest growing applications is utilizing 3D printing technology for the tooling of complex and low volume composite parts. Boeing and other companies in the aerospace and automotive industries are finding that using composite materials instead of metal, greatly reduces the weight and cost of their part which, over time, has saved thousands of dollars. So how are these models produced? There are two primary ways 3D printing is making this possible. One way manufacturers are producing composite components is by 3D printing a mold to the desired end use part dimensions. After that, the composite material is laid into the mold and cured, producing the finished end use part. These parts can be post processed with sanding and painting to get the desired look and feel. 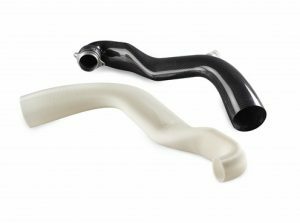 The second method uses a soluble support material specific to composite tooling, such as the Stratasys ST-130 FDM material. The idea behind this application is to wrap carbon fiber around the 3D printed part, which is later dissolved into a detergent bath. Once the material has been wrapped around the 3D printed part, it is then cured at a high temperature in an oven to consolidate the material, which produces the final shape. Once the curing process is complete, the soluble 3D printed part is washed out in a detergent bath, leaving only the composite structure. The new ST-130 FDM material was developed by Stratasys because it was able to withstand the extreme pressure and high-temperature parts go through during the cure cycle. Are you ready to eliminate the headaches and unwanted costs associated with traditional manufacturing? Sacrificial tooling for composite parts is the solution that is providing manufacturers a simple and cost effective way to produce their complex parts.